Seats 3D Shows The View From Your Seat | OhGizmo! 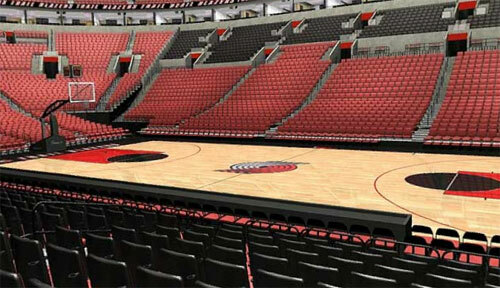 Seats 3D is a website that provides virtual views of all kinds of athletic arenas, concert halls, and other event venues. Who cares? You care! Next time you buy a ticket to something, you can use Seats 3D to look up the view beforehand to make sure that you’re getting the view that you’re paying for. The only thing missing from the 3D view is all of the tall and annoying people who will inevitably be sitting in front of you. So obviously, we need ticketing systems to take height into account. When buying your ticket, it should cross reference your name with some kind of national database (gonna need lots of funding for it) with your height and hat preferences. Then, someone should come to your house and verify that you are as tall as you say you are (just to be sure). That information goes back into the Seats 3D system, and it puts a silhouette into the virtual stadium, so that other people can tell if they might be sitting behind someone unacceptably tall. I suppose there’s a chance that this might add a small premium to the cost of a ticket, but won’t it be worth it to know that your viewing experience will be uncompromised? I’d say definitely, maybe. This is a fantastic idea. MUCH better than the usual arena seat map you usually see on ticket websites. I would definitely use this site for my next ticket purchase. Cirque du Soleil prides itself that you have a good seat from anywhere in the Chapiteau. That is a lie, and I wish I'd known about this site to see how terrible my seat was before purchasing my ticket. This is an amazing feature. I do agree about the height of those infront of you. Though like you said, it would take a lot or resources and money.